Compare JD.com‘s Q2 numbers to Alibaba‘s. Alibaba‘s revenues jumped 56 percent to 50.1 billion yuan ($7.51 billion) (with profits nearly doubling). Meanwhile, JD.com had in Q2 2017 revenues grow 44% year-over-year (YoY) to 93.2 billion yuan ($13.7 billion). [Alibaba] reported 56% year-over-year growth in revenue to $7.4 billion, topping estimates for $7.1 billion. Earnings came in at $1.17 per share, also beating estimates for 93 cents per share. Meanwhile, JD.com reported a net loss of $73 million for the past quarter on revenue of $14 billion. Alibaba’s cost of revenue in the quarter came in at 35% of revenue, showing a slight improvement from the 37% of revenue in the same period last year. In addition, Free cash flow grew 74% year-over-year to $3.3 billion. Revenue from core commerce increased 58% year-over-year to RMB43,027 million (US$6,347 million). Revenue from digital media and entertainment increased 30% year-over-year to RMB4,081 million (US$602 million). Mobile MAUs on its China retail marketplaces reached 529 million in June, an increase of 22 million over March 2017. 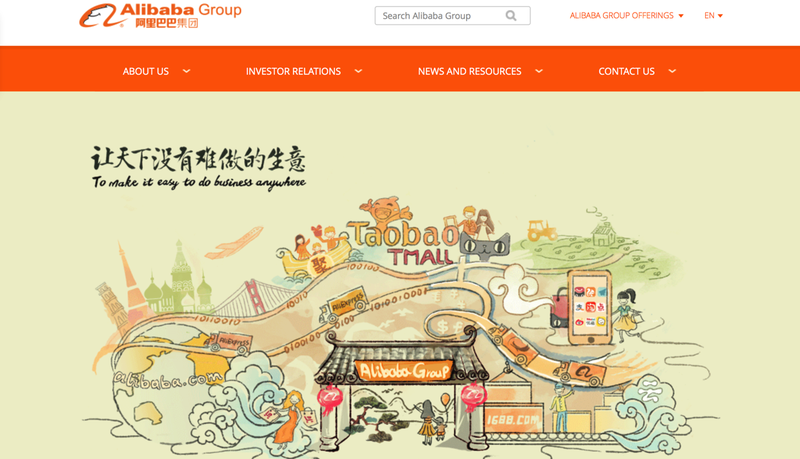 Revenue from Alibaba’s international commerce retail business reached meaningful scale at RMB2,638 million (US$389 million) in the quarter ended June 30, 2017, representing a 136% year-on-year growth, driven by strong growth in its Southeast Asian platform Lazada (Alibaba increased its ownership in Lazada to 83%)and its China outbound platform AliExpress. Revenue jumped 56 percent and profit nearly doubled in the June quarter, fueled by a core commerce business that’s adding users and increasing how much they spend. That’s being bolstered by a cloud computing division with more than a million customers, helping investors shrug off slowing growth in digital media, which includes a Netflix-like streaming service. Cloud revenue almost doubled (but is also still tiny compared to AWS or Microsoft‘s Azure). Alibaba has been ramping up assets in traditional retail, vowing to revamp a $4 trillion market. It led a $2.6 billion deal to take private Intime Retail Group Co., which operated and managed 29 department stores and 17 shopping malls across the country as of end-June last year. It’s also working with partly owned Suning Commerce Group Co.
Alibaba now has 466 million active customers (PDF).